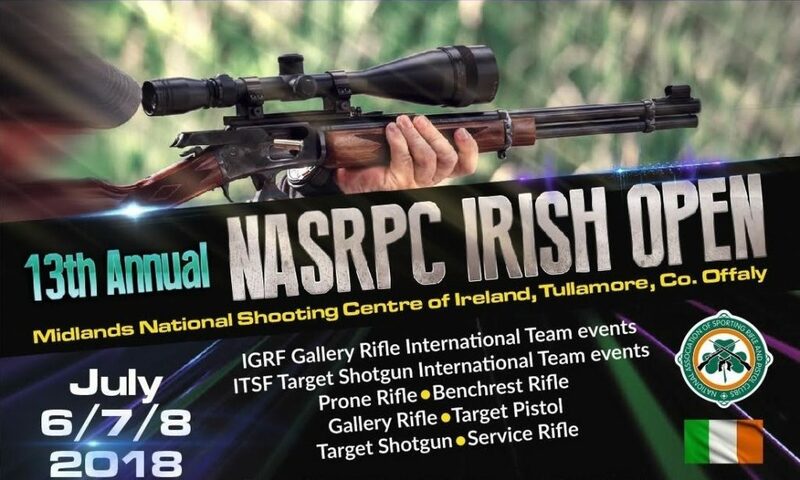 The NASRPC Irish Open is an annual event – now in its 13th year – where competitors from all over Ireland and abroad come to compete in what is, for many, the highlight of their sporting calendar. It is a multi day event, attracting hundreds of competitors and offering a huge array of competitive disciplines. 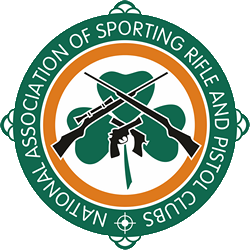 It also includes the Irish leg of the IGRF (International Gallery Rifle Federation) International Series. The IGRF Team Events will both take place on Saturday 7th July. 2018 sees the 40th birthday of the NASRPC. We (You!! – You are the NASRPC) have seen many changes in our sport of Target Shooting over that period – we’ve seen clubs come and go – some moving as the cities encroach on the countryside – some blending with others as their memberships have grown and waned – we’ve seen the return of target pistol shooting in both smallbore and centrefire, the growth of gallery rifle shooting with the development of the EGRF and now the IGRF, the growth of target shotgun shooting now with the development of the ITSF – the changing popularity of sporting rifle, benchrest rifle and the precision events – and that is just in our own disciplines – of course all the other shooting sports have also seen a lot of changes over that period. If you have any NASRPC, (or NASRC, as we were known back then), photos or items of interest or anecdotes from the early days (I know, kids think 2000 was the “olden days”) we would love to hear from you. On the evening of Saturday July 7th we will be celebrating in the Bridge House Hotel in Tullamore with some dinner, a few refreshments and having the craic. Tickets for the Dinner are €30 and can be purchased as part of your online registration. Please specify if any Dietary Requirements. For those wishing to stay in the area while competing over multiple days, or attending the Dinner on the 7th – Tullamore is the closest town – there are many hotels and other accommodation option in Tullamore and in the surrounding area. Camping is also available on site, at MNSCI, for those that wish to avail of it. MNSCI has not been made specifically Wheelchair Accessible. For more information – contact the range. Aggregate scores are calculated from your individual scores. There is no fee for Individual Aggregate Entry – it is automatically calculated. Scores from peoples individual entries will be used. Each person can only be on one team for each category. Please send a mail to competitions@nasrpc.ie. to register your team, With the name of your Team (Keep it clean!!! ), the names of the four (4) individuals who will be part of your team and which Team Events they are competing in. There is a fee of €10 per team entry. Club Teams are, as the name suggests, on a per club basis – with scores from the best 6 counting. Scores will be aggregated from all the following events to give the clubs team score. There is no fee for Club Team Entry – it is automatically calculated. MNSCI will be holding a fun side match in Centrefire Rifle on the 300m range throughout the weekend. You can enter as many times as you wish – entry fees and more details are available from MNSCI. David Corr of CorrTactical who sponsors the Irish IGRF Teams – is again providing the match shirts for this years Irish Open. Of course he will be onsite with the full 5.11 catalogue available also – if you wish to order anything else for collection please contact David. Again this year we are holding a Raffle to raise funds for Development within the NASRPC Club Network. We have organised a very impressive prize table with some very high value items including a number of firearms. Tickets for the Raffle (which are limited to 150 tickets) are €50 and can be purchased through your club – if they do not have tickets, contact NASRPC and we will organise some for them. Please specify on the ticket stub, your order of preference for the prizes. The draw will take place on Saturday 7th during the Dinner in Tullamore. Should a winner not be present, the prize will be held for them. Proceeds from this Levy are earmarked for Development within the club network of the NASRPC. Entry Fees payable on the day.